QUESTION: The ECG below was obtained from a middle-aged woman with new-onset palpitations. She was otherwise not in distress, did not complain of chest pain, and had a blood pressure of 90/60 mm Hg at the time this tracing was recorded. Is she in ventricular tachycardia? Figure 1 - Lead II rhythm strip from a middle-aged woman with palpitations. INTERPRETATION: The rhythm is rapid and irregularly irregular. No atrial activity is seen. Although the QRS complex is definitely widened, the gross irregularity of the rhythm makes ventricular tachycardia unlikely. This leaves atrial fibrillation as the probable diagnosis. That said - the rate of the rhythm at certain points in the tracing is much faster than is usually seen with atrial fibrillation. 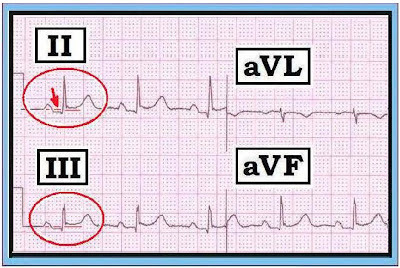 Under normal conditions with atrial fibrillation - the refractory period of the AV node does not allow more than 150-to-200 impulses/minute to be conducted to the ventricles. At certain points in Figure 1 - the R-R interval is just over one large box in duration (which corresponds to a heart rate of ~250 beats/minute). 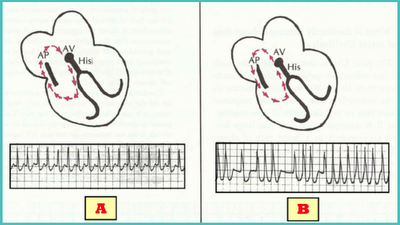 This is simply too fast for atrial impulses to be transmitted over the normal (AV nodal) conduction pathway. CONCLUSION: Atrial impulses must be bypassing the AV node. The finding of atrial fibrillation at an exceedingly rapid rate (over ~220/minute) should immediately suggest the likelihood of accessory (AP) pathway conduction in a patient with WPW (Wolff-Parkinson-White) syndrome. 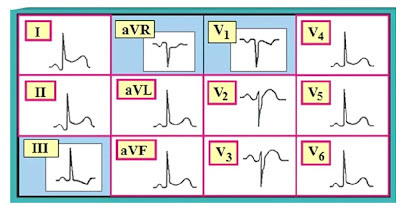 Two additional features in favor of the rhythm in Figure 1 being WPW rather than VT are: i) variation in QRS morphology during the WCT (less likely with VT); and ii) very marked change between some R-R intervals on the tracing (some being extremely short with others being significantly longer). ABOUT ARRHYTHMIAS WITH WPW: WPW is a syndrome in which one or more accessory conduction pathways exist that allow an alternate route for transmission of the electrical impulse from the atria to the ventricles. It has an approximate incidence of 2 per 1,000 individuals in the general population - just frequent enough that most emergency care providers will encounter patients with WPW-related arrhythmias from time to time. Conduction of the sinus impulse in patients with WPW may be via the normal (AV nodal) pathway - down the accessory tract - or it may alternate between the two. These patients are prone to develop atrial tachyarrhythmias in which a reentry circuit is set up between the normal AV nodal pathway and the accessory tract (Figure 2). Figure 2 - Pathways of conduction of supraventricular tachyarrhythmias with WPW. Click to enlarge. Right-Click to open in a separate window. With PSVT - the tachyarrhythmia is almost always orthodromic (down the normal AV nodal-His-Purkinje system and back up the accessory pathway - as in Panel A of Figure 2). 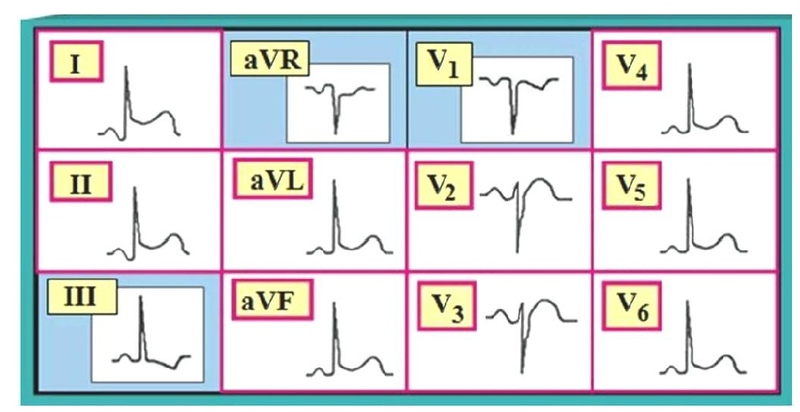 Because conduction goes down the normal AV nodal pathway - the QRS complex is narrow during the tachycardia. PSVT is by far the most common tachyarrhythmia observed in patients with WPW. It is usually well tolerated by the patient. In contrast, with Atrial Fibrillation in WPW - the tachyarrhythmia is almost always antidromic (down the AP, with retrograde conduction back to the atria over the AV nodal pathway - as in Panel B in Figure 2). Antegrade conduction over the accessory pathway results in QRS widening during the tachycardia. Because of the short refractory period of the AP, there may be 1:1 conduction of atrial impulses during atrial fibrillation, resulting in a ventricular response that at times exceeds 250 beats/minute (Figure 1). Such rapid rates may not be well tolerated (the ventricles may not be able to adequately contract at this rate) - and as a result the rhythm can deteriorate into ventricular fibrillation. Although less commonly seen than atrial fibrillation - Atrial Flutter may also occur in patients with WPW. As with atrial fibrillation - antegrade transmission of atrial impulses is almost always down the AP when patients with WPW develop atrial flutter. 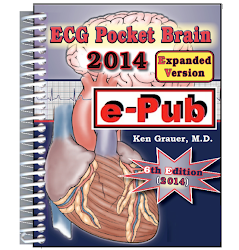 As a result - there may be 1:1 AV conduction (so that the ventricular response may be as fast as 250-350/minute). Note: In those rare (~5%) instances in which PSVT is antidromic - the QRS complex will be wide and the PSVT rhythm may be indistinguishable from VT. It may only be after conversion to sinus rhythm that "telltale" delta waves of WPW can be identified. Fortunately - the vast majority (~95%) of PSVT episodes with WPW are orthodromic (with narrow QRS). TREATMENT: Although verapamil, diltiazem and digoxin are all effective medications for slowing the ventricular response of rapid atrial fibrillation - they are contraindicated when atrial fibrillation occurs in association with WPW. 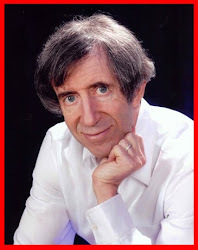 This is because each of these drugs may accelerate conduction down the AP, and thereby exacerbate the tachyarrhythmia. Appropriate medications to consider (that slow antegrade conduction down the AP) - include amiodarone, procainamide or ibutilide. Be aware of the need to cardiovert the patient IF they decompensate. Figure 3 - 12-lead ECG from an older patient with palpitations. Is this VT? INTERPRETATION of FIGURE 3: There is a regular monomorphic WCT (Wide-Complex Tachycardia) seen at the exceedingly rapid rate of nearly 300/minute! (as determined by the occurrence of a QRS complex each large box). This is too fast for VT. Although this rhythm could represent ventricular flutter – it turned out to be atrial flutter at a rate of ~300/minute in a patient with WPW. 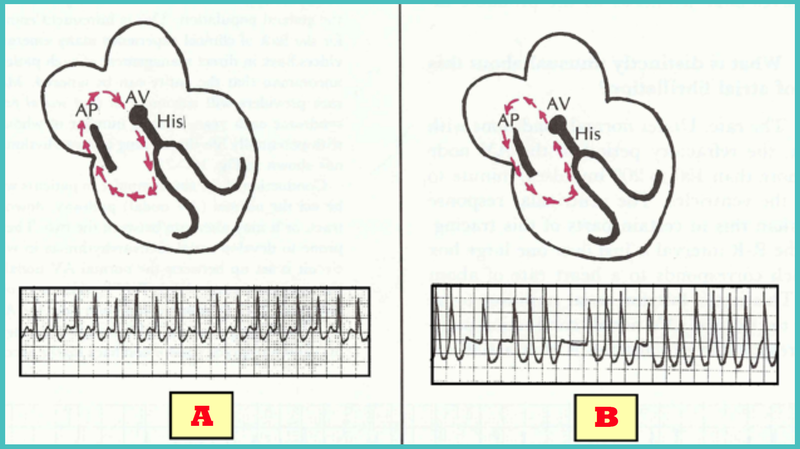 As was the case in Figure 1 – antegrade (forward) conduction down the AP (Accessory Pathway) is seen when atrial fibrillation or flutter occur in a patient with WPW. This leads to WCT rhythms at rates that are faster than should be seen for VT. Although rare – the importance of recognizing very rapid AFib or Flutter with WPW cannot be overstated. This is because treatment with verapamil/diltiazem/digoxin are all contraindicated. 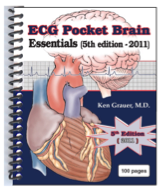 Instead – one should use amiodarone/procainamide/ibutilide – with awareness of the need to immediately cardiovert the patient IF hemodynamic decompensation occurs (Further discussion of treatment recommendations in this pdf from Section 12.0 of our ACLS-2013-ePub). QUESTION: The patient is an older woman with a pacemaker who presents to the office with atypical chest discomfort. A 12-lead ECG and Lead II rhythm strip was obtained (below). How would you interpret her office ECG and rhythm strip? 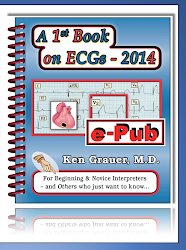 Does the pacemaker prevent you from interpreting her ECG? Clinically - Is anything acute likely to be going on? Figure 1 - ECG from an older woman with a pacemaker and chest discomfort. Figure 2 - Labeling of the tracing in Figure 1. Beats #1, 2, and 3 in Figure 2 are paced (each QRS complex for these first 3 beats is preceded by a tiny vertical pacer spike best seen in the lead II rhythm strip). The rate of the pacemaker is ~60/minute (the R-R interval from one pacer spike to the next for these first 3 beats is about 5 large boxes). Beat #4 is a spontaneous beat. 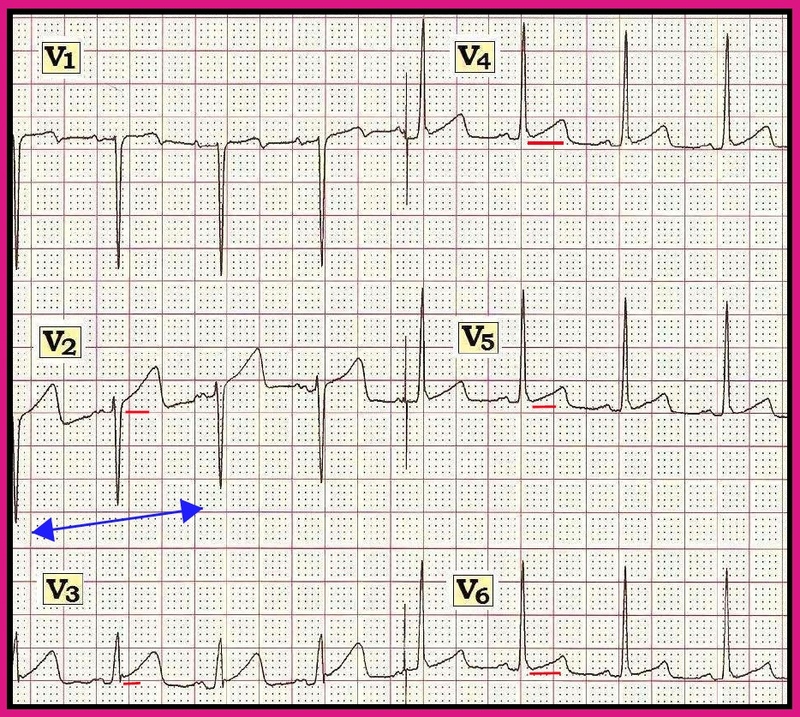 Its QRS complex is narrow and not preceded by a pacer spike. The pacemaker appears to be sensing appropriately because the R-R interval between beats #3-to-4 is shorter than the pacer R-R interval (and therefore the pacer appropriately does not fire). That the pacer is sensing appropriately is confirmed by beat #5 which is again paced, and which is preceded by an R-R interval of 5 large boxes (which is the appropriate amount of time for the pacer to wait before firing). Beats #8, 9, and 10 appear to be spontaneous (they are not preceded by pacer spikes). Beat #7 is probably a fusion beat (since it appears to be preceded by a pacing spike, and manifests a QRS complex intermediate in morphology between paced beats and spontaneous beats). We surmise that the underlying rhythm in this tracing is atrial fibrillation - since we do not see definite P waves in the lead II rhythm strip and the spontaneous beats are irregular (though we acknowledge that baseline artifact makes it difficult to be sure that there truly are no P waves ... ). Finally - a very interesting aspect of this tracing is that the spontaneous beats suggest ischemia! One cannot say anything about ischemia from paced complexes (ie, from beats #1,2,3,5, or 6). We cannot be sure about ST-T wave morphology from the fusion beat (beat #7). However, the T wave of spontaneous beats #4, 8, 9, and 10 in the Lead II Rhythm Strip manifests a worrisome appearance of fairly deep symmetric T wave inversion. 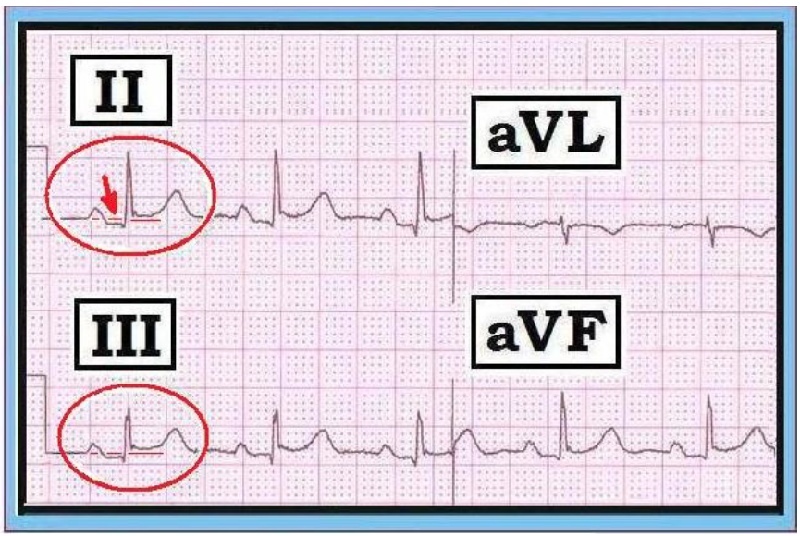 Use of time lines (vertical RED lines in Figure 2) show there is corresponding ischemic-looking T wave inversion in leads aVL, V3, and V4 (T wave inversion within the BLUE ovals). BOTTOM LINE: This interesting ECG shows that despite the presence of a pacemaker - it is still possible to assess pacemaker sensing and pacing function, determine the underlying rhythm - and detect ischemic T wave inversion of clinical concern in this older woman with chest discomfort. QUESTION: The ECG below was ordered on a 23 year old woman who was seen in the office a day earlier. No history was given. No prior tracing was available for comparison. 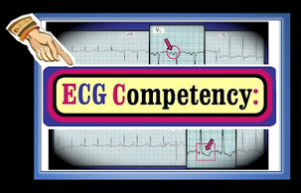 Clinically — What would you do if you were reading this ECG the day after without the benefit of any history to go on? Figure 1 - ECG from a 23 yo woman with atypical chest pain. INTERPRETATION: The rhythm is sinus at a rate just under 100/minute. All intervals (PR, QRS, QT) are normal. The mean QRS axis is normal (at +75 degrees). There is no chamber enlargement. Q-R-S-T Changes: — There is definite baseline wander in several leads on this tracing (most notably in leads III, aVL, aVF, and lead V2). There appears to be a tiny q wave in lead III. Transition is normal (occurs between leads V2-to-V3). There is subtle but real ST segment elevation in a number of leads. CLINICAL IMPRESSION: Although one might want to be "lulled" into a sense of security by the young age of this patient — this is not a normal tracing in a 23 year old woman. The ST segment elevation is real (Figure 2). Clearly — the baseline wander (especially in lead V2) makes assessment of ST segment position difficult. That said — one is struck by the straight takeoff with almost hyperacute T waves and suggestion of subtle ST segment elevation in many of the leads on this tracing. in V2) — the J-point is elevated above the PR segment baseline in leads V2-thru-V5 (short red lines). COMMENT: Given the age of this patient, the diffuse nature of the ST-T wave change, and the lack of any reciprocal ST depression — myocardial infarction is unlikely. However, young adults do get acute pericarditis — and the constellation of a relatively rapid heart rate with subtle but diffuse ST elevation and morphology seen here is certainly consistent with a diagnosis of acute pericarditis. We felt a need to review the chart and contact the treating physician. Turns out the history was of atypical chest pain of relatively recent onset that was initially attributed to a musculoskeletal cause (with the patient being sent home on a short course of NSAID therapy). In view of this history — a more likely diagnosis was acute pericarditis, with our revised plan for more careful follow-up, repeat ECG in 1-2 weeks, and to continue the course of NSAIDS (appropriate for both musculoskeletal pain and pericarditis). There are many causes of acute pericarditis. These include cancer (metastasis); viral and bacterial causes; autoimmune disorders; associated myocarditis; drugs; radiation pericarditis; trauma; post-MI; tuberculosis; uremia; and “idiopathic” when no cause can be found. By far — the most likely etiology in a previously healthy young adult is a viral disorder. Most of the time — history, physical exam and the clinical setting will suggest the probable etiology. Stage I -— everything is "up" (ST elevation is seen in almost all leads). Stage II — transition ( = "pseudonormalization" ). Stage III — everything is "down" (inverted T waves). Figure 3 — The 4 Stages of Acute Pericarditis. ST Segment Elevation: Figure 4 shows a schematic example of Stage I Acute Pericarditis. Note how diffuse the ST segment elevation is in Stage I ("everything up" stage) - being seen in virtually all leads (except the "far away" leads = blue shaded leads III, aVR, and V1). ST-T wave morphology with acute pericarditis may resemble that seen with early repolarization — in that the ST segment tends to manifest an upward concavity (“smiley” configuration) rather than the coved (downward convexity) more commonly seen with acute MI. ST elevation with acute pericarditis is more generalized than that usually seen with early repolarization (that tends to be localized to one or two lead areas). J-point notching is characteristically seen in one or more leads with early repolarization — though overlap in the ECG picture between acute pericarditis and early repolarization may certainly be seen (since after all — acute viral pericarditis is commonly seen in a previously healthy young adult population who may develop this disorder superimposed on a baseline ECG showing early repolarization changes …). 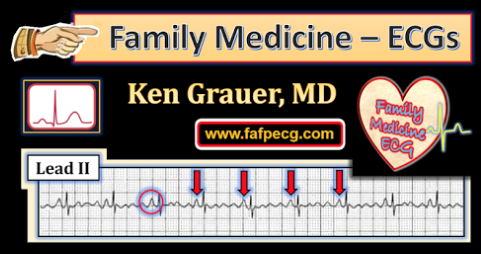 Look for tachycardia — a history of pleuritic-type chest pain worse on recumbency — listen carefully for pericardial friction rub — and inquire about recent viral illness. The ST elevation seen with acute MI differs from the picture of acute pericarditis in several ways: i) it is more localized — with reciprocal ST depression in other areas of the heart; ii) Q waves may be seen (absent from pericarditis, with possible exception of baseline small septal q waves); iii) leads II and III tend to look similar with acute MI (inferior changes) — vs — with acute pericarditis, leads I and II tend to look more similar (See Figure 4); and iv) the associated history will be very different for the two entities. NOTE: ST elevation (and PR segment depression) is typically absent with acute pericarditis from uremia (since the diffuse ECG changes of pericarditis are attributable to acute epicardial inflammation which is not a feature of pericarditis from uremia). Figure 4 — Schematic example of Stage I Acute Pericarditis. PR Segment Depression: In addition to the diffuse ST segment elevation seen in Figure 4 — PR segment depression is also seen. PR segment depression — may be a subtle sign that supports the diagnosis of acute pericarditis. It is not always seen. It may be seen in some leads, but not in others. Close inspection of Figure 4 shows PR segment depression present in leads I, II, V2, and V3 — but not in aVL,aVF; V4,V5,V6 (You may want to click on Figure 4 to enlarge the tracing). Acute pericarditis is one of the few conditions in which we do pay attention to lead aVR. 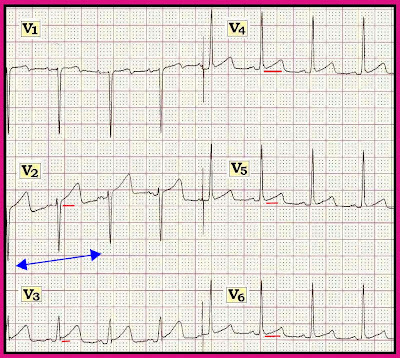 This most distant recording electrode often manifests the opposite ST/PR segment picture of most other leads (Note PR segment elevation and ST depression in lead aVR for Figure 4). A final caveat regarding PR segment depression is that it may occasionally be seen in normal subjects ... Thus, both sensitivity and specificity of PR depression are imperfect indicators of acute pericarditis. That said — this sign may be very helpful IF found in selected cases when symptomatic patients present with subtle ECG findings. To clarify how to recognize PR depression — we add a blow-up of 4 leads taken from another patient with acute pericarditis (Figure 5). Note subtle but real PR segment depression in leads II, III, and aVF (as judged with respect to the R-P baseline). Figure 5 — 4-lead blow-up taken from a patient with acute pericarditis. There is PR segment depression in leads II,III,aVF — as judged with respect to the R-P baseline (arrow in lead II shows the PR is below this baseline — while the ST segment is above it). 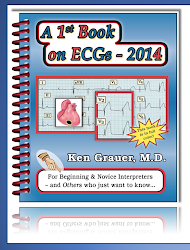 CONCLUSION (Bottom Line): A history is needed for accurate ECG interpretation. If the 23-year-old woman presented in this case in question asymptomatic — then the tracing seen in Figure 1 could conceivably represent a normal repolarization variant. Knowing that this young woman instead had atypical chest pain of recent onset makes it much more likely that the constellation of ECG findings seen represents acute pericarditis. Given transition between the "everything up" ST elevation stage (Stage I in Figure 3) — and the "everything down" T wave inversion stage (Stage III) — it may be that another reason for the subtle findings in Figure 1 is that this tracing caught the patient in transition (Stage II) between diffuse ST elevation returning to the baseline on its way to evolving toward diffuse T wave inversion. The findings of acute pericarditis may indeed be subtle. Final CAVEAT (Clinical Pearl ): A common differential diagnosis is between acute pericarditis vs ACS (Acute Coronary Syndrome). Keep in mind that in practice — ACS is far more common than acute pericarditis. 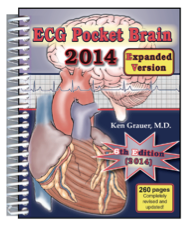 Despite this clinical reality — acute pericarditis tends to be greatly overdiagnosed ... 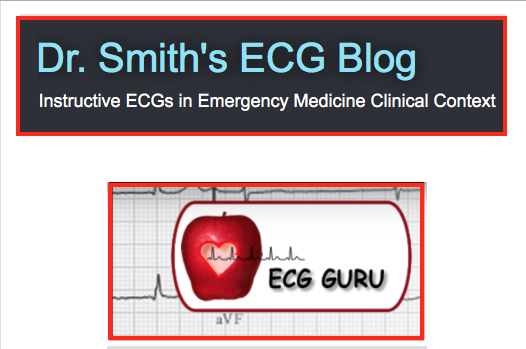 The onus of proof is on US to rule out ACS as the cause of ST elevation, rather than the other way around. BOTTOM LINE: It's best not to diagnose acute pericarditis until you have ruled out ACS!